Fondation Carmignac is pleased to announce the exhibition of the 7th Laureate of the Carmignac Photojournalism Award, the Mexican photographer Narciso Contreras, at the Saatchi Gallery, London. 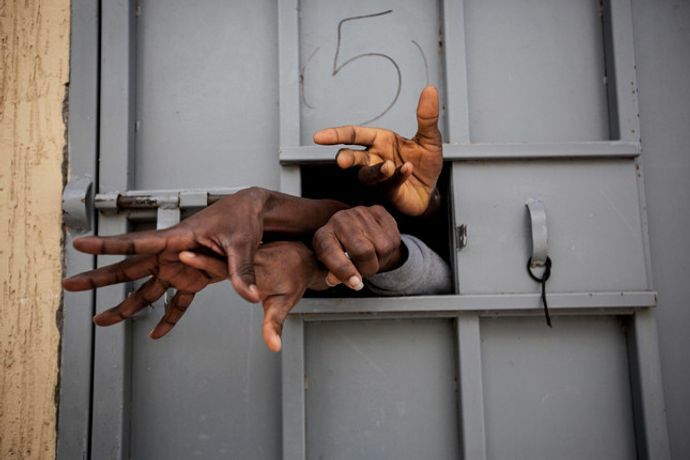 This report narrates the thoughts and observations of the photojournalist as he has travelled through the complex tribal society of post-Gaddafi Libya from February to June 2016, photographing the brutal reality of human trafficking. Contreras lays bare an unfolding humanitarian crisis in which illegal migrants, refugees and asylum seekers are at the mercy of militias who exploit them for financial gain. Held in detention centres for illegal migrants, they are subjected to inhumane conditions including overcrowding, lack of sanitation and vicious beatings. 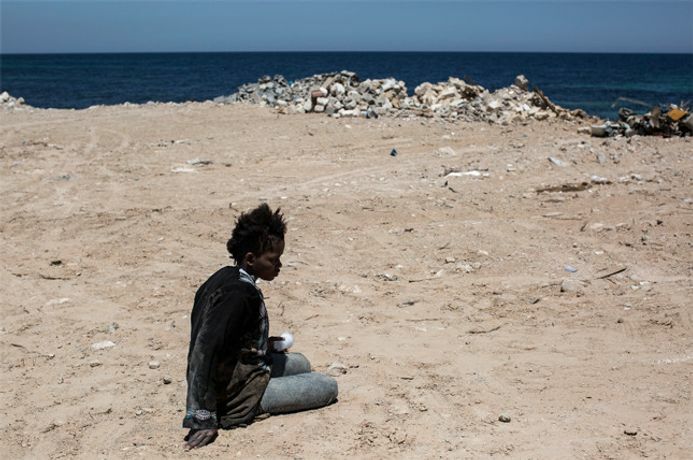 Throughout this report, Contreras weaves a compelling narrative to show how, instead of being a place of transit for migrants on their way to Europe, Libya has actually become a trafficking market where people are bought and sold on a daily basis. In 2009, Fondation Carmignac established the Carmignac Photojournalism Award with the aim of funding and promoting an investigative photo report on human rights violations each year. The winner receives a €50,000 grant to produce an in-depth, in-the-field photo essay. After it has been completed, the Fondation provides further support, financing a monograph on the investigation and working with the photographer to develop and stage an international touring exhibition that begins in Paris. Four photos from the essay are subsequently included in the Carmignac Collection. Each year, at the end of the five-month photo reportage in the selected area, the work of the Carmignac Photojournalism Award Laureate is used to produce both a major exhibition in Paris and London, and the publication of a monograph. After taking place at the Hotel de l'Industrie, in the heart of the Saint-Germain district in Paris and in Palazzo Relae in Milano, the exhibition of 32 photographs by Narciso Contreras will be displayed from 16 May to 16 June 2017 at London's Saatchi Gallery, which has been hosting the Carmignac Photojournalism Award for the third consecutive year.